Climb to the top of your country's charts by pushing your music to the iTunes top 100. Safe, perfectly legal and quite advanced, this iTunes promotion will get your any track to the top 100 chart, geo-located to many Western national music markets. Buy ready-made geo-located iTunes promotion or buy iTunes subscribers and downloads to boost your ranking yourself. PLEASE NOTE: the services with the 0$/€ price tag are not "free": the tag means that promotion is custom-built and priced case by case. Email us at infopromosound@gmail.com and we'll get back ASAP with a quote. Attach some rocket fuel to your track and climb the iTunes charts! Buy iTunes Germany Top 100 promotion today and start increasing your iTunes ranking in less than a week. Get featured on iTunes quickly and reliably. This service is for the German version of iTunes. Legal methods and 100% results - guaranteed. Important notice: this is not a 'free' service. The 0$/€ price tag means we need to build the service for each client individually. Tell us about your tracks and current extent of promotion by emailing infopromosound@gmail.com and we'll get back to you with a quote super quickly. The track will be charged on your music genre iTunes top 100. Not interested in Germany? 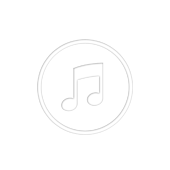 Browse more iTunes track promotion by country here.